Welcome back, friends! It’s the most wonderful time of the year – the time that your favorite Fodder feature appears, that is. Today, our focus is on the upcoming arrival of Halo Wars: Definitive Edition, for which early access begins rolling out on Dec. 20 for folks who have pre-ordered the digital Ultimate Edition of Halo Wars 2. Back in Issue 78, we revisited the story of the original game in overview, and took a deeper look at the AV-22 Sparrowhawk. Today, we’re going to expand our exploration into the first title’s setting with a few new Deep Links. I mean, only if that’s okay with you of course. Ruthless and unrelenting, Ripa ‘Moramee seemed little concerned with honor, and far more with victory – no matter the cost. Early in his military career, Ripa rose in renown thanks to success in several ordained campaigns. His meteoric rise in the Covenant ranks started during the Sixteenth Unggoy Disobedience, when he led the Covenant strike force which quelled the dissenting Grunts in days. His reputation for ruthlessness was cemented after butchering the infamous Kig-Yar pirate lord, Krith, during which his legion was reduced to a handful of hardened killers. His skills in war were honed in dozens of compliance campaigns at the fringes of Covenant space. Worlds burned to prove his piety and devotion to the Great Journey. If Ripa had a weakness, it was that audacity sometimes blinded his ability to choose battles more wisely. Such was the case when the brash warrior attempted to overthrow his clan leader on the stronghold world of Malurok. Overestimating his leadership ability and strength of arms, ‘Moramee finally met defeat on the battlefield. His failure would condemned Ripa to a living death, but Ripa’s audacious failure drew the eye of the Prophet of Regret, who was searching for an agent he could ascend to the role of Arbiter. During the assault on Harvest, a Jiralhanae chieftain served the Hierarchs in their holy mission to cleanse the sacred world of the newfound human infestation. 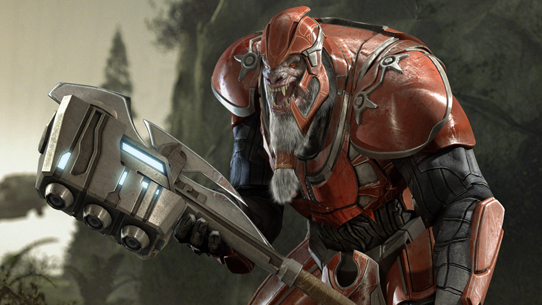 Then known only by his nickname of “Thrallslayer,” the Brute chieftain was an enigmatic force on the battlefield, both feared and revered by all he encountered. When Arbiter Ripa ‘Moramee arranged for Regret to evacuate Shield World 0459, he ordered the chieftain to accompany the High Prophet during his exit. Though Ripa’s ultimate intent was to rob the Brute of any potential war-glory to be had during the conflict, his actions would ultimately ensure the chieftain’s survival, while Ripa himself would never make it out of the ancient construct alive. 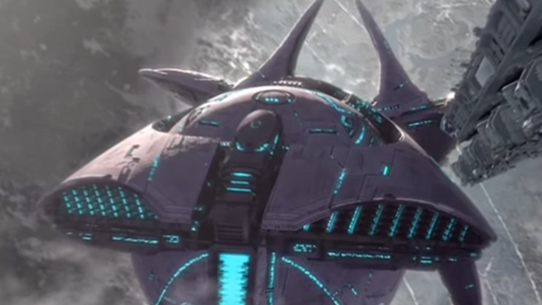 Part of the Fleet of Glorious Interdiction, the Proclamation’s Tithe encountered the UNSC Spirit of Fire within Shield World 0459, heavily damaging the UNSC vessel with plasma weaponry and blunt force. The valor and sacrifice of the destroyer's crew would not go unrewarded. Upon the Prophet of Regret's return to High Charity, the names of each crew member – whether living or dead – were restored to the rolls of honor within the Covenant archives. The Vampire is a specialized Covenant ground-attack aircraft, mounting a mix of seemingly disparate weapons on a heavy flying chassis. With its semi-circular shape and a concave maw, the Vampire was one of the most recognizable Covenant air vehicles used during the War, though not necessarily one of the most encountered. 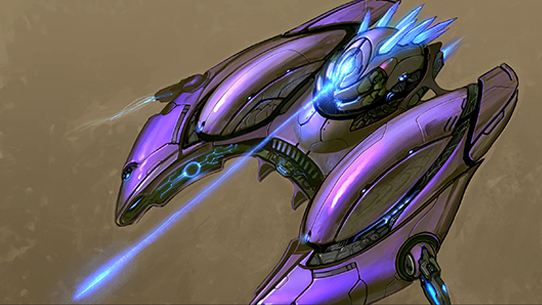 As is customary with many Covenant military vehicles, the Vampire’s cockpit is located toward the rear of the craft in an environmentally sealed pod, with all weapons and heaviest armor oriented toward the front. Though it was rarely utilized, the Vampire was equipped with a space-capable impulse drive and could achieve hypersonic velocities. The Vampire’s primary weapon is a superheavy needle cannon that fires large shards of self-tracking crystalline fragments. As seen in its smaller infantry-employed cousin, the Needler, these shards will detonate in a massive sympathetic explosion if multiple shards are impaled in the same area. Though apparently not a standard feature of all Vampires, many are also equipped with a stasis cannon and two heavy plasma cannon turrets. As mentioned, Halo Wars: Definitive Edition comes as part of an awesome bonus for preordering the Ultimate Edition of Halo Wars 2. However, many of you will likely remember that back when the original game was released, it had its own special collector’s edition available. 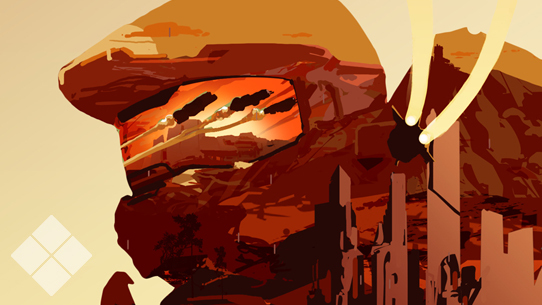 In addition to an absolutely gorgeous double-sided Steelbook cover (your humble penman is such a sucker for those things), perhaps the most interesting part of the collector’s edition – particularly for story fans – was the inclusion of a small prequel comic called Halo Wars: Genesis. Written by Eric Nylund and illustrated by Phil Noto, the comic focused on the “origin stories,” so to speak, of several of the main characters in the game. 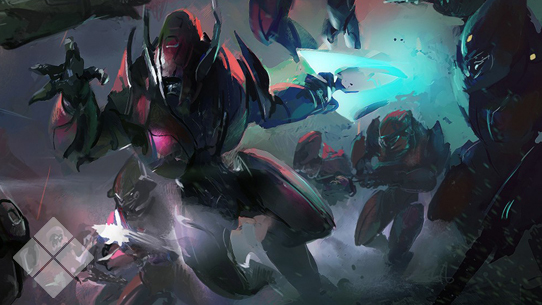 As the original Halo Wars was released nearly eight years ago now, it’s increasingly likely that many Halo fans have never been able to peruse the comic on their own. That’s why we figured it might be a fun idea to make it available here as a digital downloadable PDF, so that both brand new fans and seasoned veterans alike can reexperience the story. To download, follow the link below, and enjoy! Oh, before we head out, check out this neat community video highlighting the unboxing of Halo: Ground Command's awesome UNSC Pelican model. And if you like what you see and want to grab one for your own tabletop battleground – or collector shelf – you can do so here. 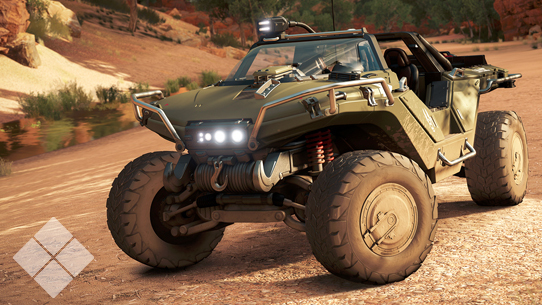 Also, don't forget to check out the rest of their most recent Halo: Ground Command additions here! That will do it for us in this edition. Make sure you check out this past week’s Halo Community Update for further details on Halo Wars: Definitive Edition rollout, including the reveal of the title’s 1500-gamerscore worth of Xbox Live Achievements (woot!). And as a heads-up, this will be our last Canon Fodder of 2016 as we take a brief respite for the holiday season. That being said, don’t go thinking that we’ll be leading up to the launch of Halo Wars 2 without your favorite fiction-focused feature getting in on some of the action… We’ll see you then. 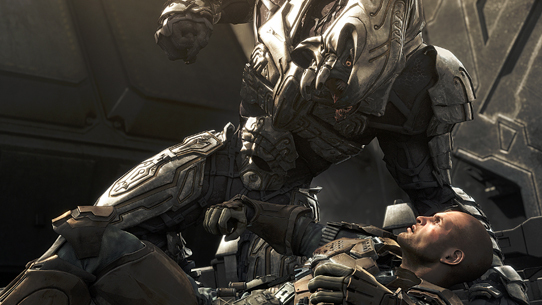 Until next time… Live well, play Halo, and thanks for sharing a pretty intense and incredible year with us.